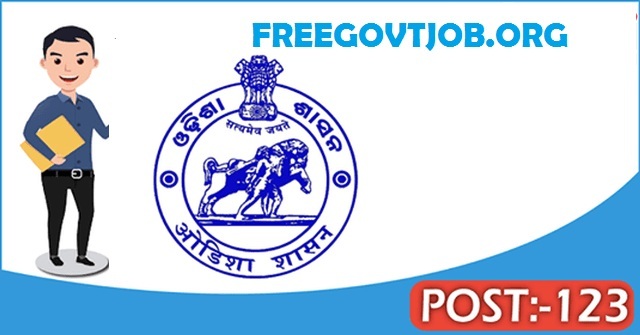 Govt of Odisha Recruitment 2018 For 123 Posts of Teaching & Non-Teaching @ordistportalcontent.nic.in : Government of Odisha has released a notification for the recruitment of 123 Teaching Department and Non-Teaching Department. Interested candidates may check the vacancy details and apply online from 10-05-2018 to 30-05-2018. For more Information, visit Detail Advertisement. Candidates should have passed 10+2 or Graduation Degree in relevant stream from a recognised board/university. Selection of candidates will be made on the basis of Written Test, Skill Test and Personal Interview. General/UR/OBC candidates have to pay Rs. 200 through SBI Bank Draft in favour of District Welfare Officer, Nabarangpur. SC/ST(Odisha Domicile)/PWD candidates don't have to pay any fee. Interested and eligible candidates may apply by sending printout of application form along with photocopies of relevant documents to the office of the Collector & District Magistrate, Nabarangpur, Odisha from 10-05-2018 to 30-05-2018.